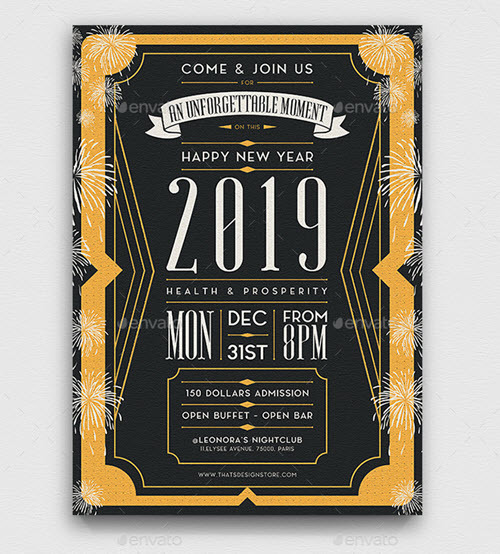 By: Nelly Vinnik posted on October 10, 2018 in Inspiration . 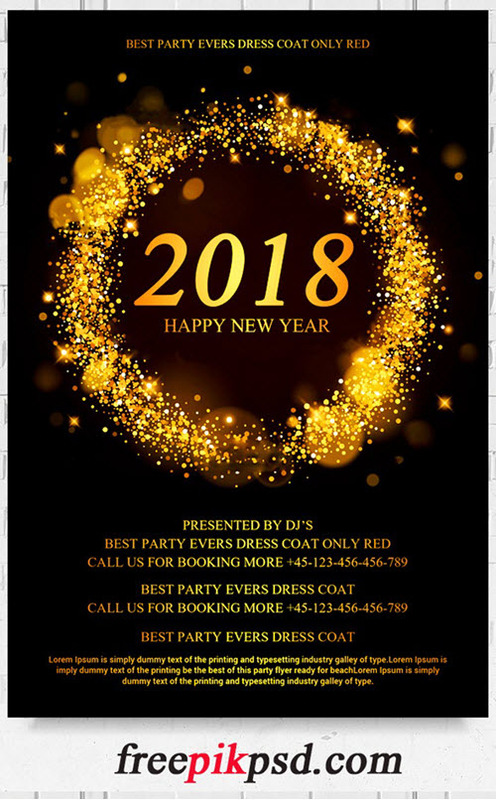 As a New Year Eve is approaching too fast, more and more business owners and designers search for a quick and cost-effective way to promote their upcoming New Year’s Eve party events, costume parties etc. 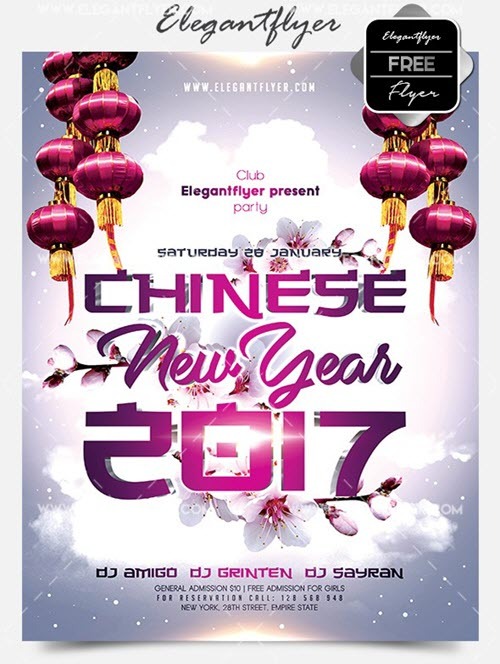 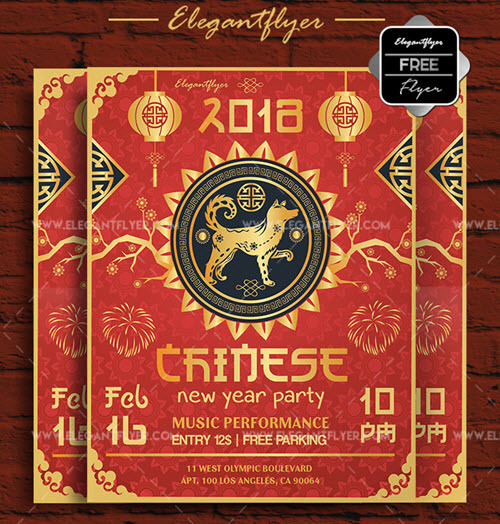 One of the most effective and easiest way of inviting people and attracting their attention to the events or parties is still remains flyers. 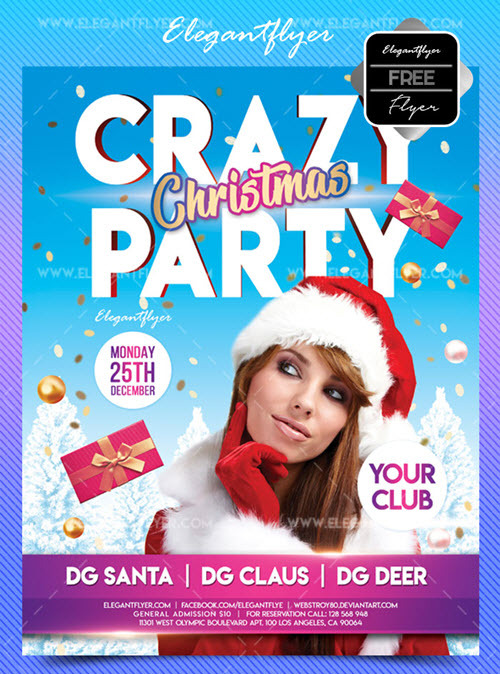 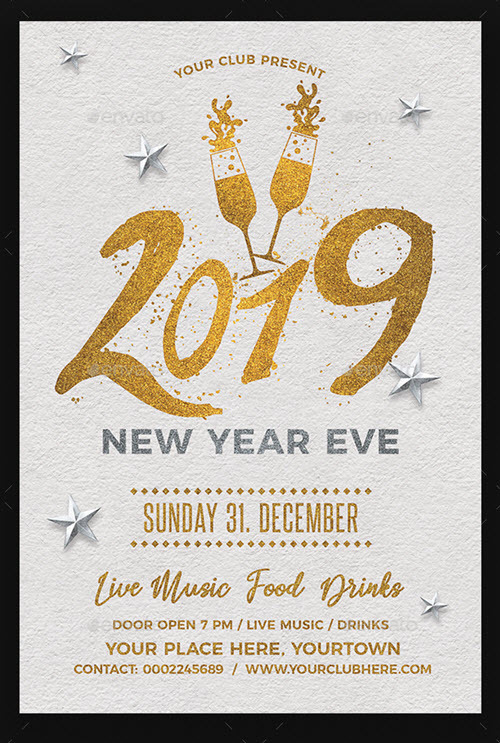 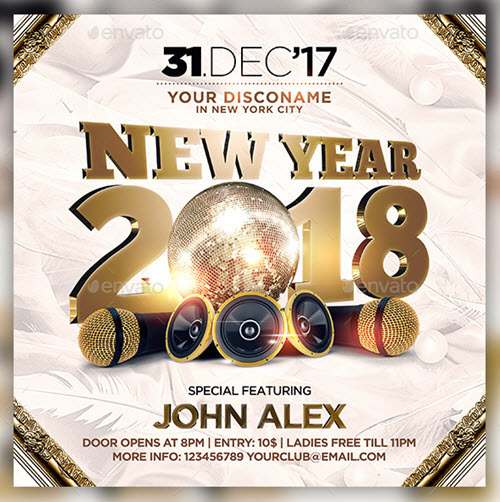 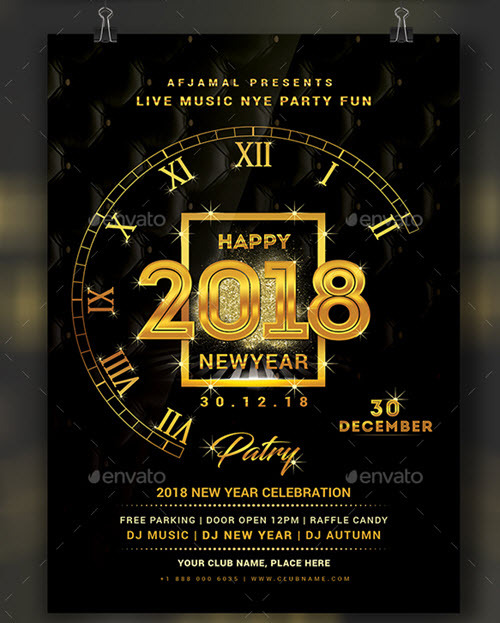 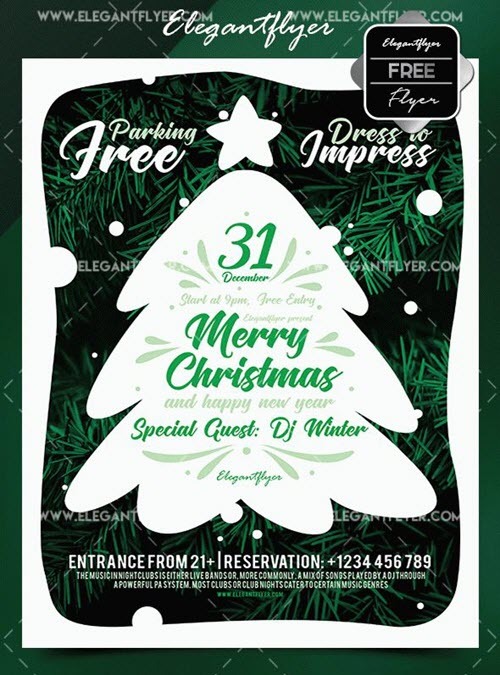 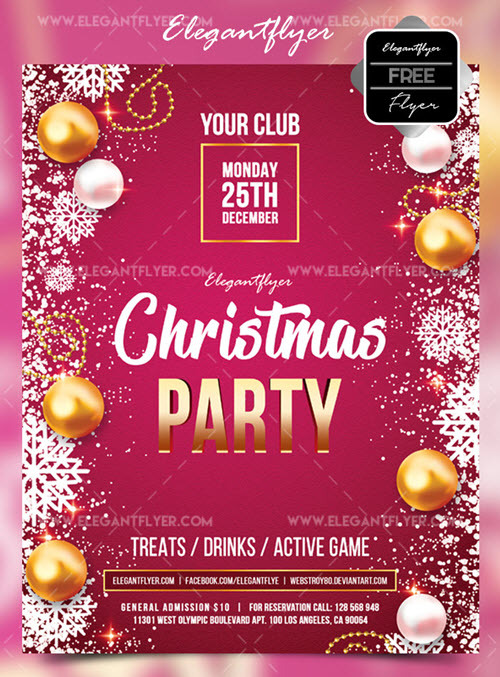 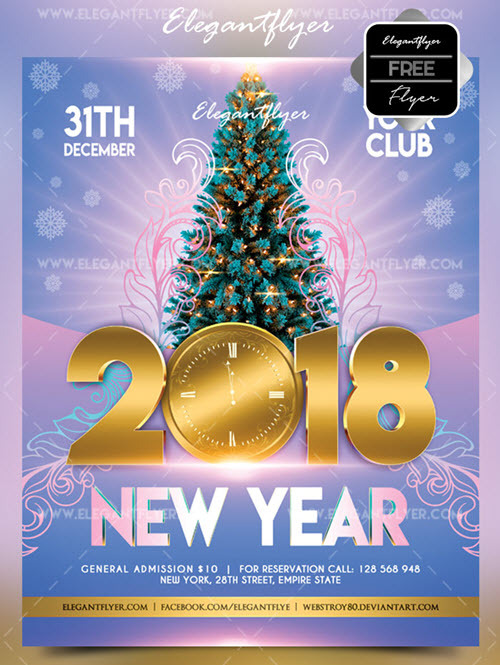 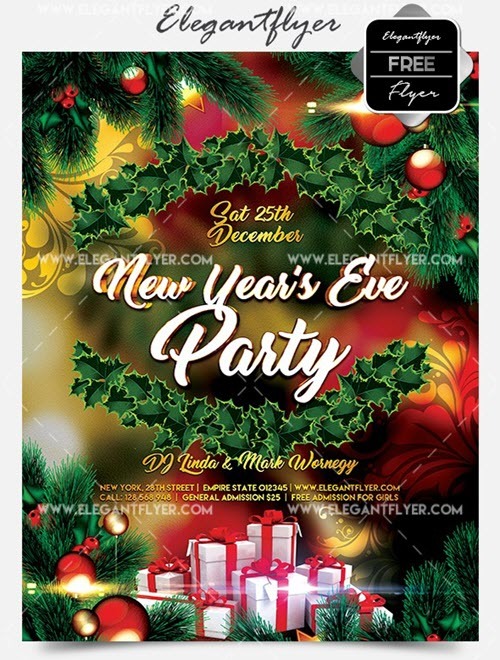 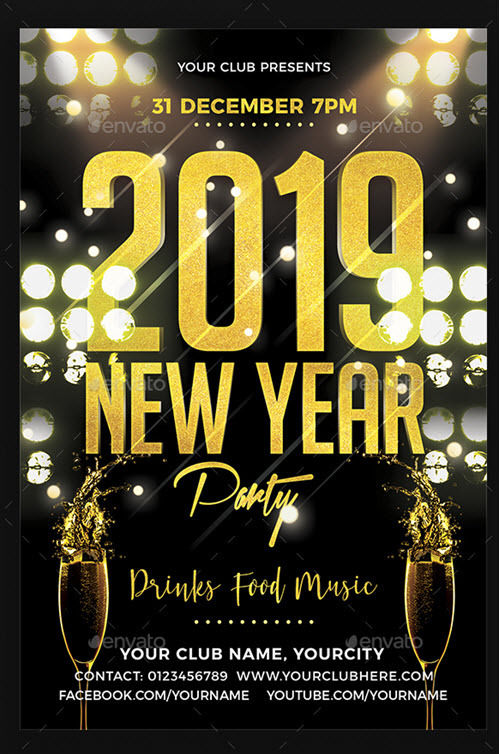 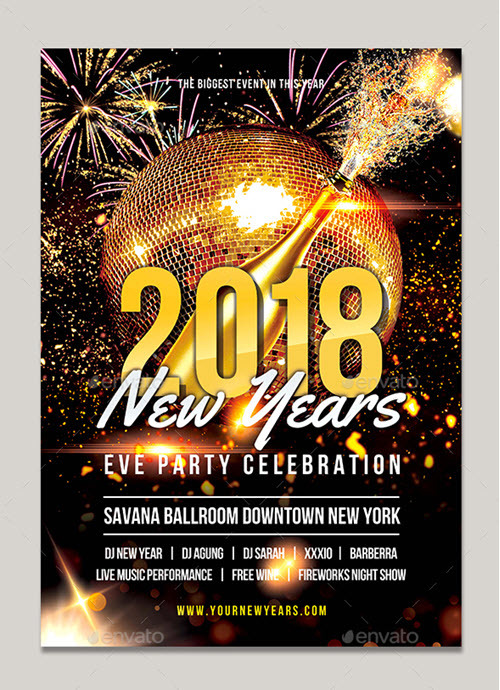 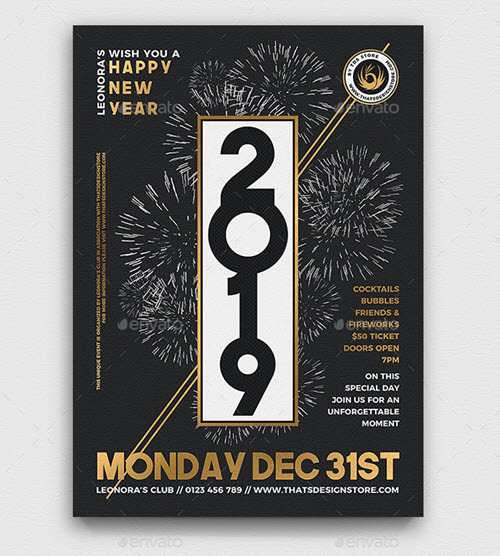 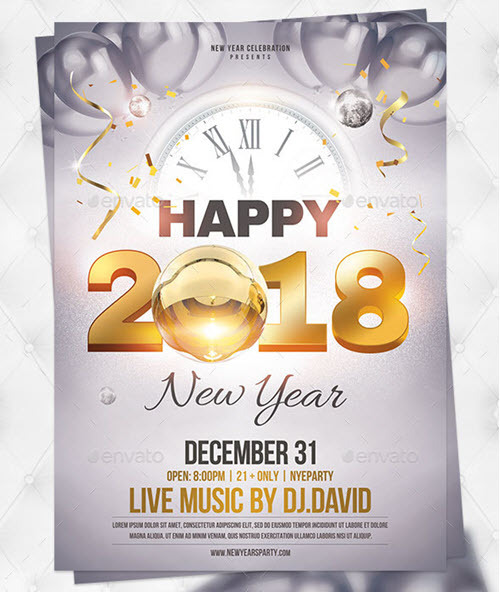 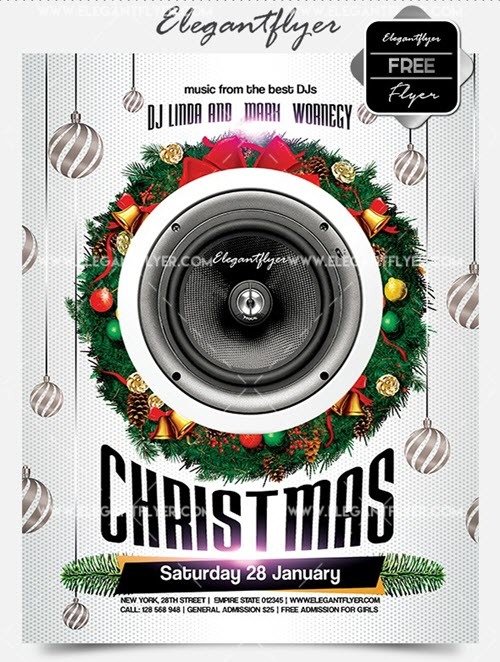 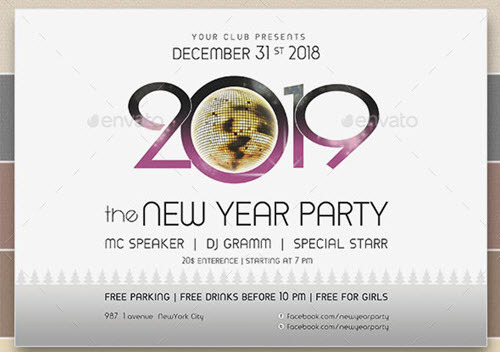 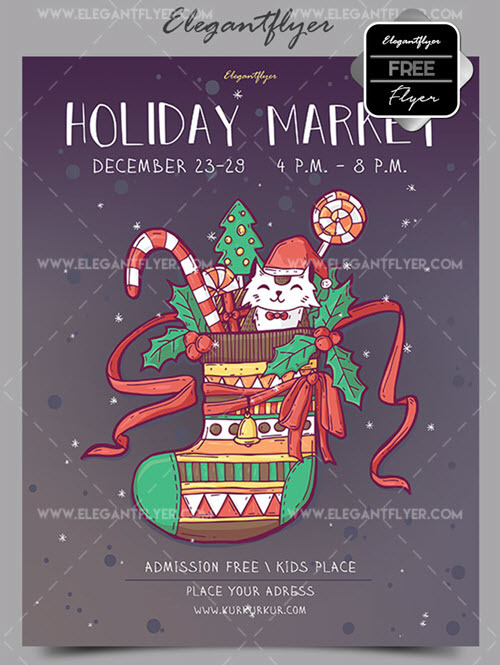 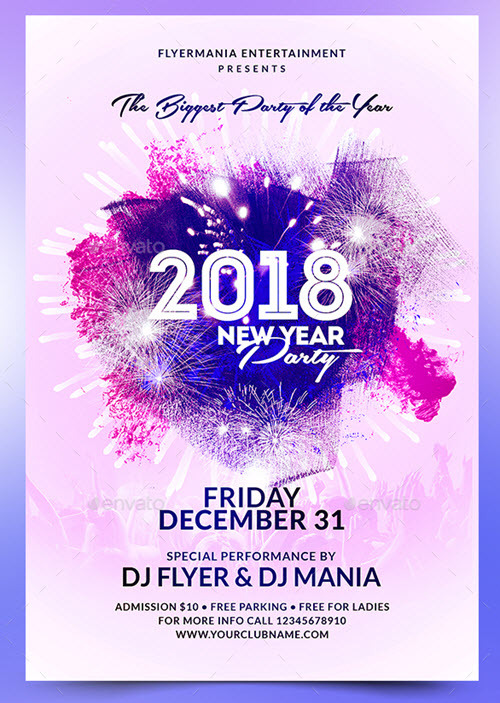 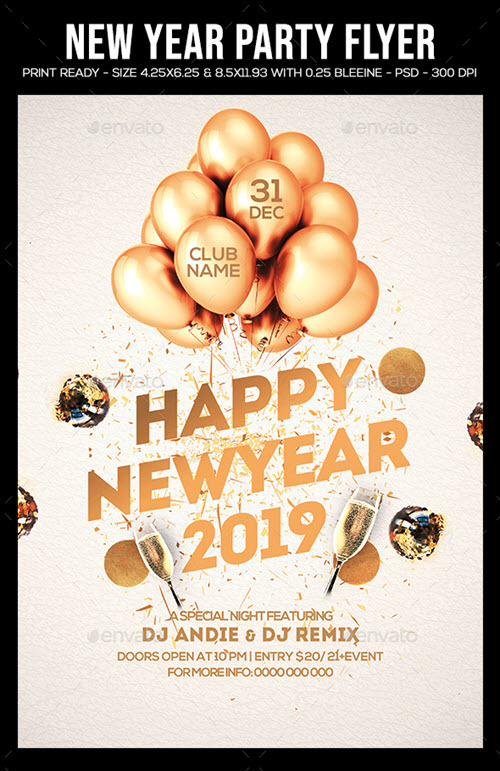 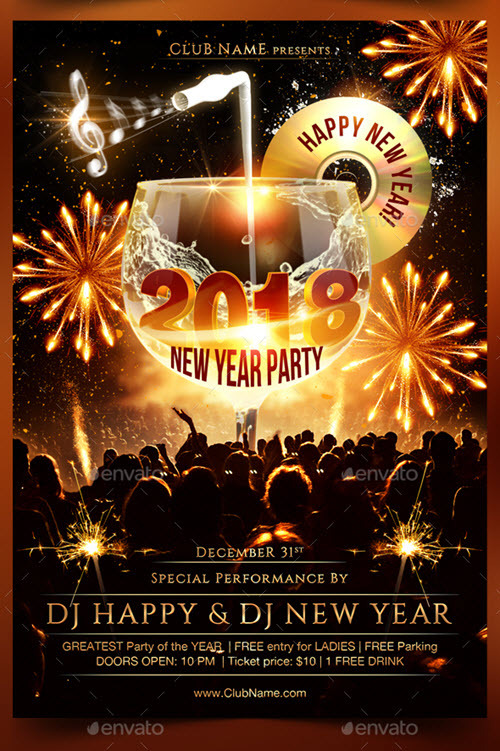 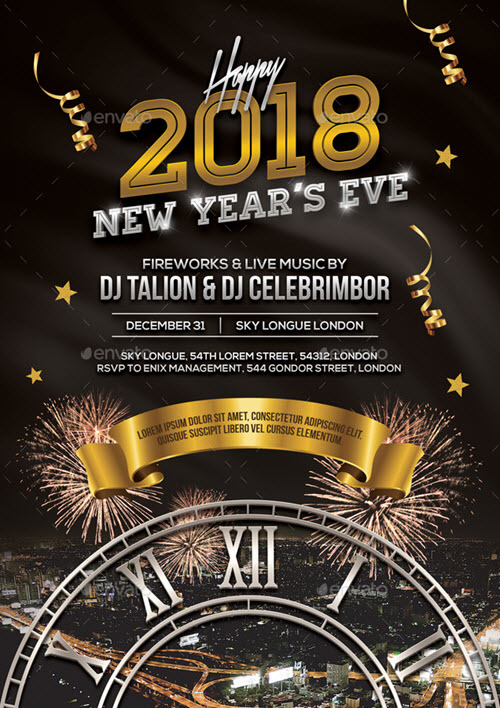 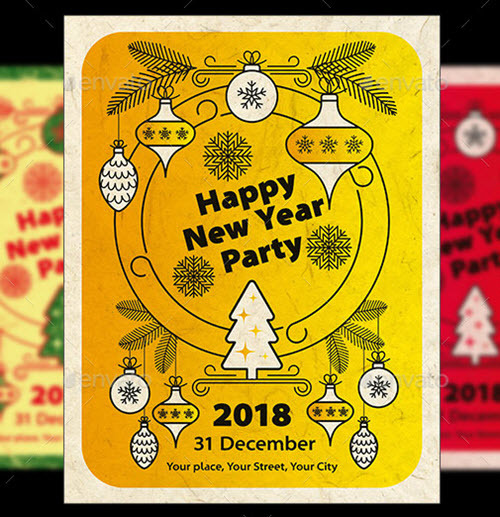 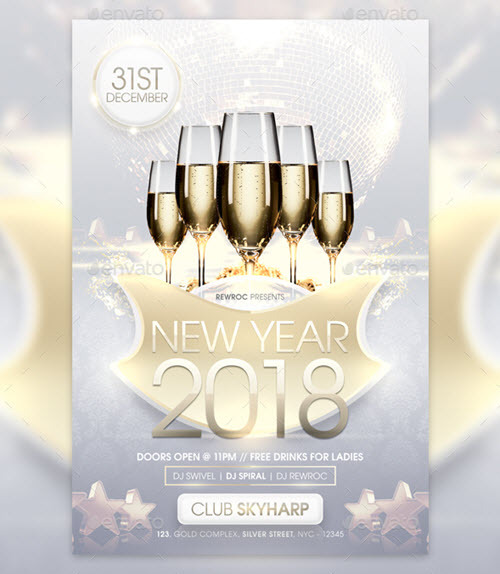 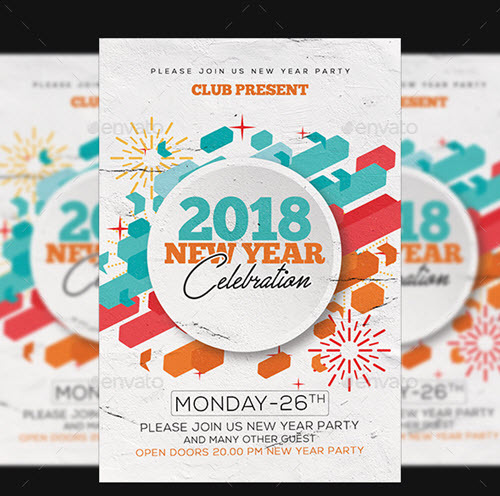 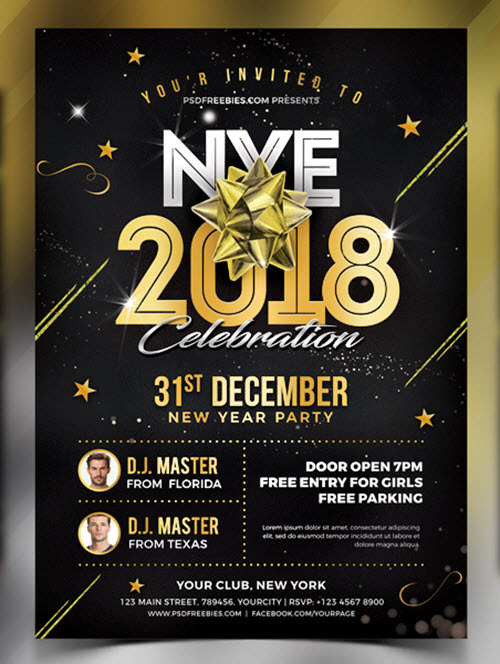 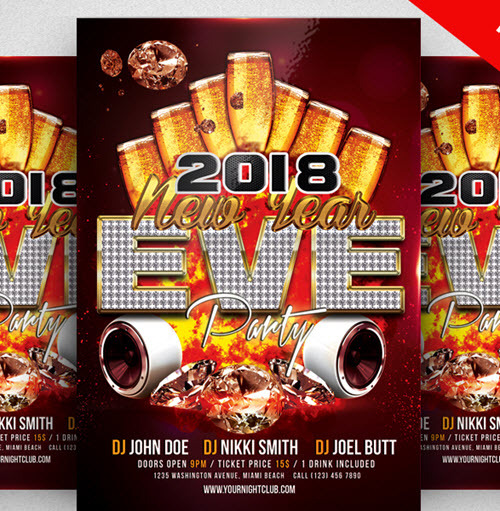 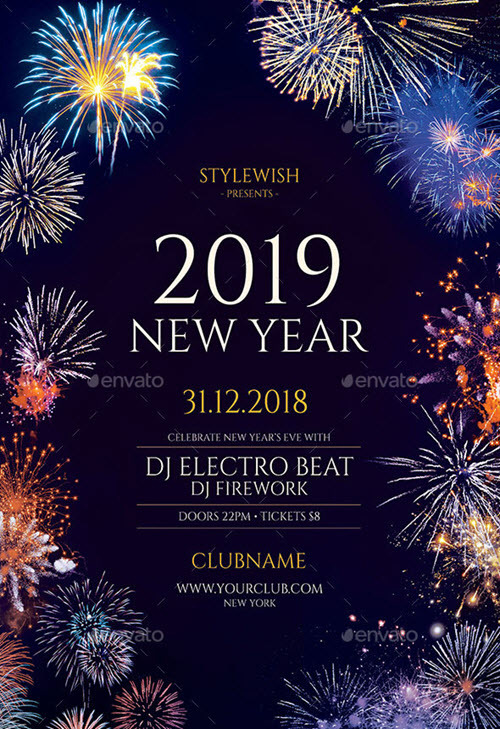 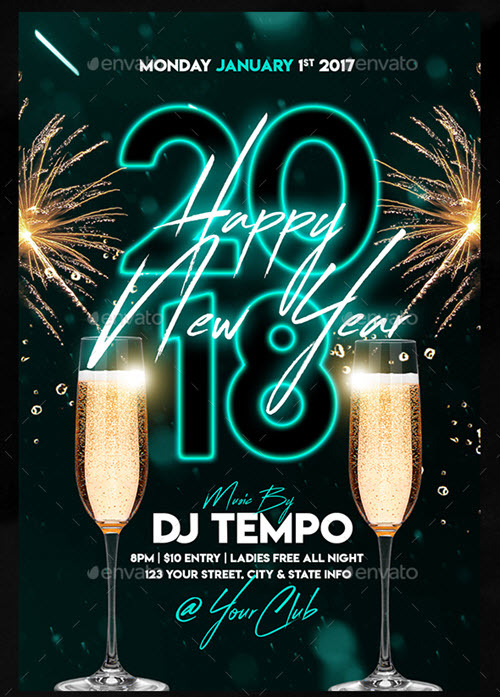 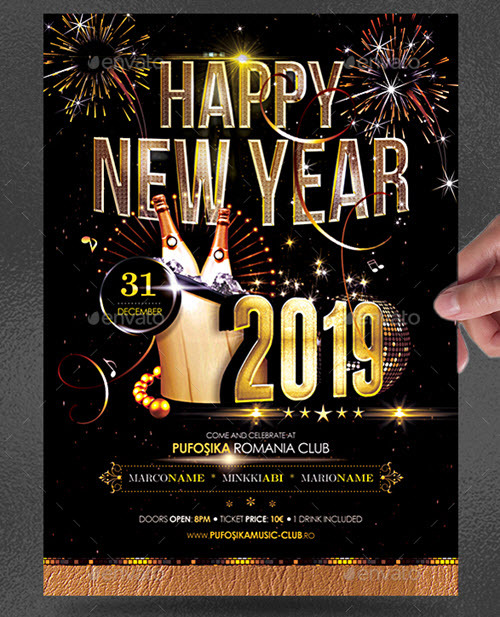 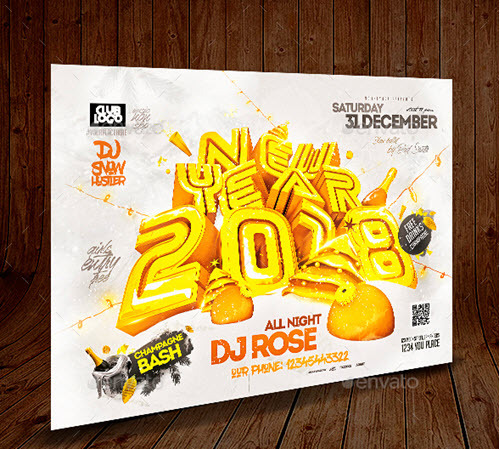 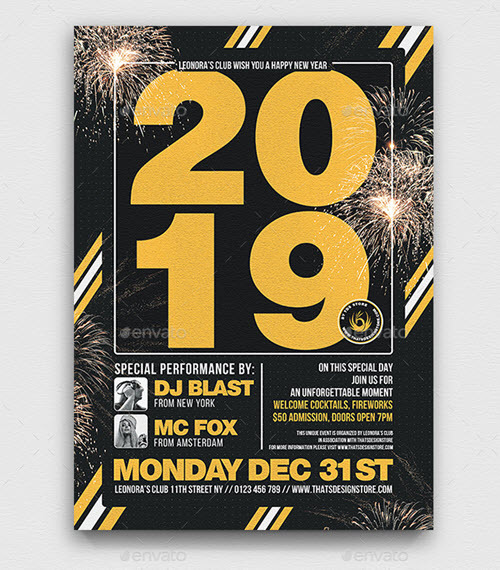 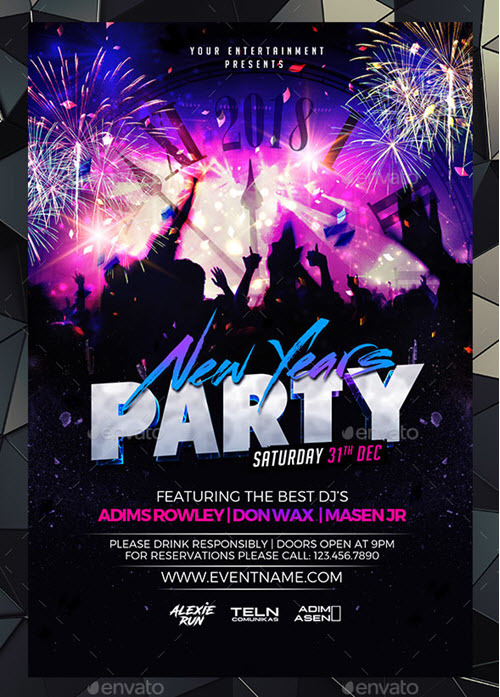 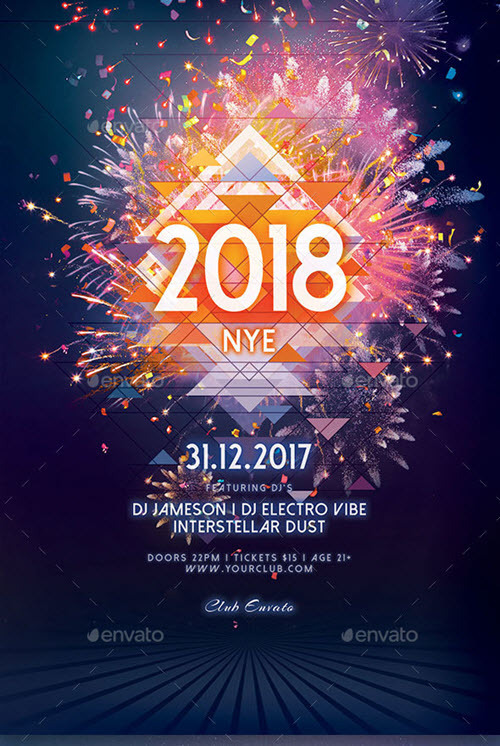 In this post, we would like to draw your attention to the latest and fresh 45+ Premium and Free New Year’s Eve Flyer PSD Templates for Upcoming X-Mas 2019 Parties. 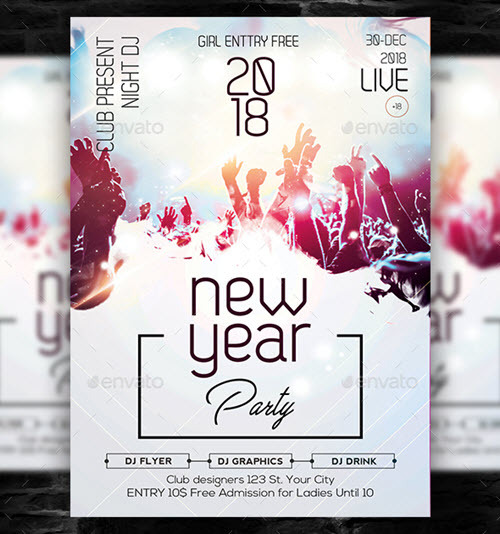 All of the below listed premium and free flyer templates have an exclusive and original design and can be easily customized in Photoshop. 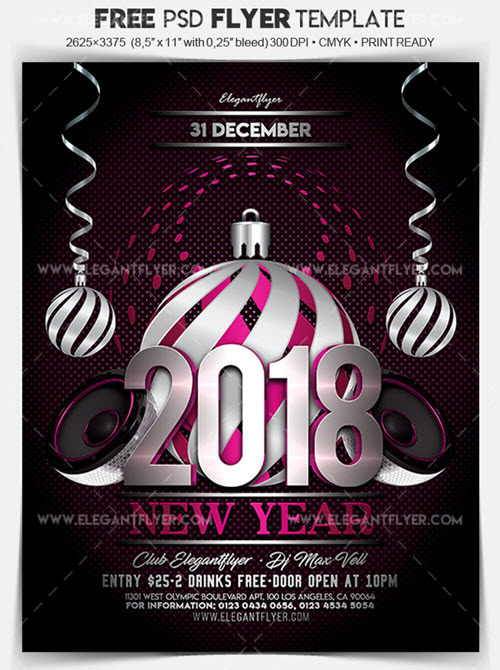 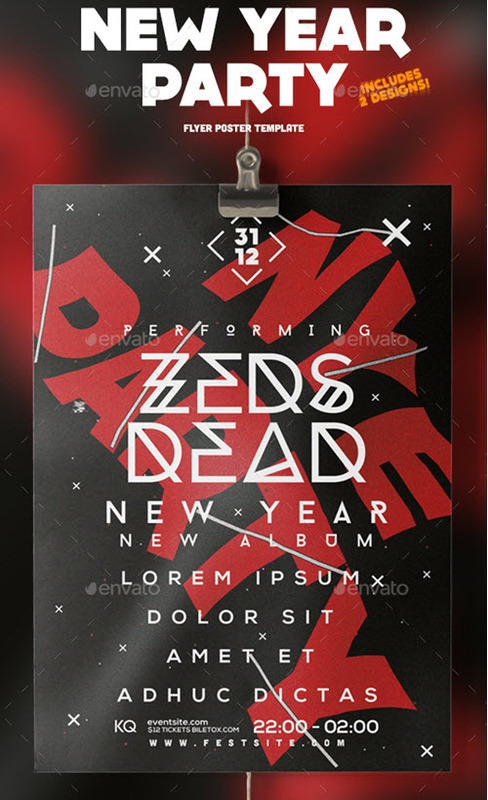 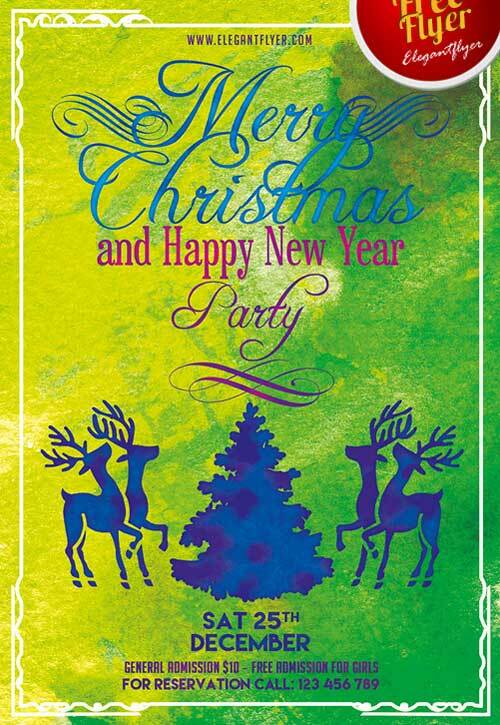 Download any of the below free New Year’s Eve party flyer or a Christmas party flyer template in PSD and open it in Photoshop in order to make all the required changes to make it match your upcoming New Year’s Eve party requirements: Get Photoshop as part of a Creative Cloud single-app plan for just US$19.99/mo. 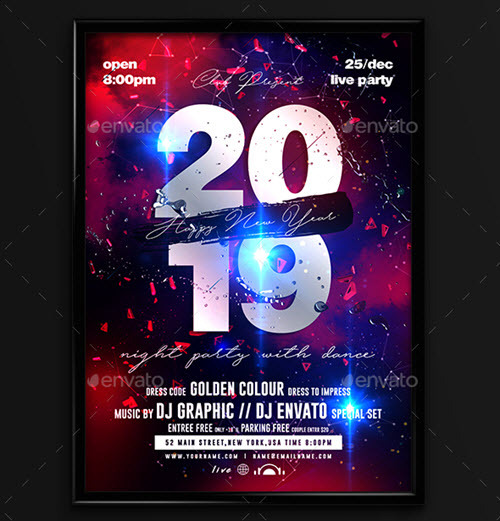 You can easily change the color palette to the one your upcoming event has, add your logo, event details and high-quality photos which will grab your potential even guests’ attention. 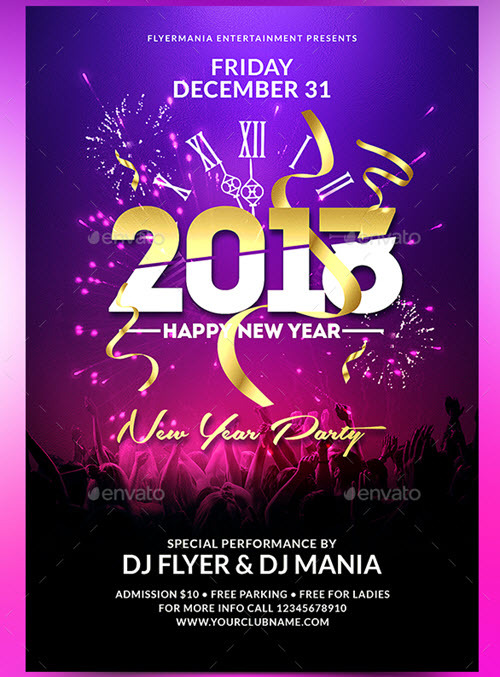 Start the promotion of your New Year’s party event as earlier as possible in order to make it crowded and successful. 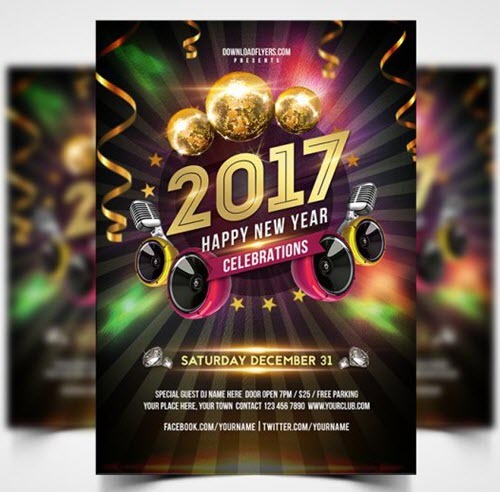 Are you lack of original graphics for inspiration and usage in your current and future graphic design projects? 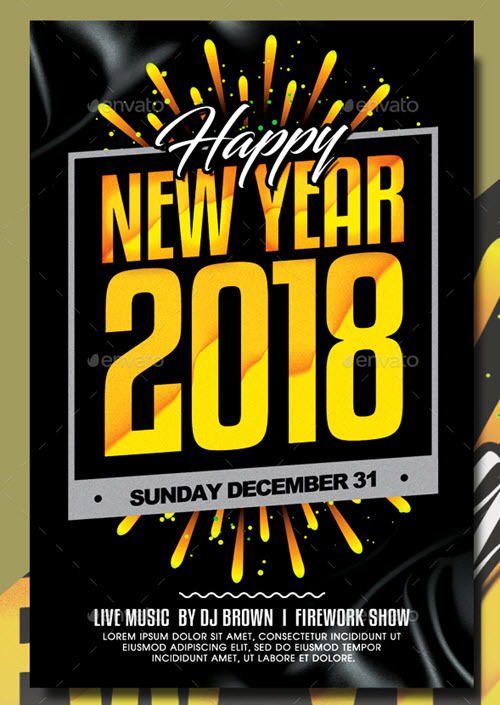 Feel free to browse our free graphics category in search of exclusive textures and patterns, 3D elements and objects in PSD and Vector, labels, creative typography elements and shapes. 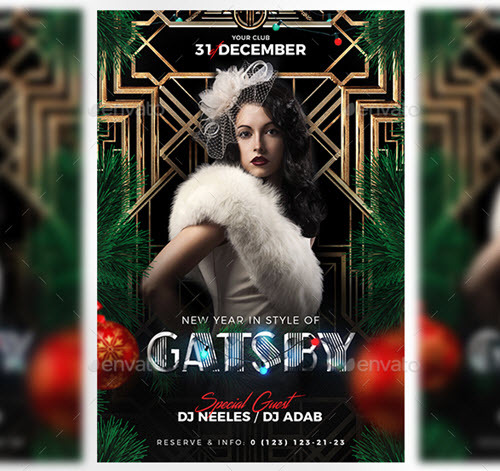 Also, you can enhance your design projects by using our free web elements and free icons bundles etc. 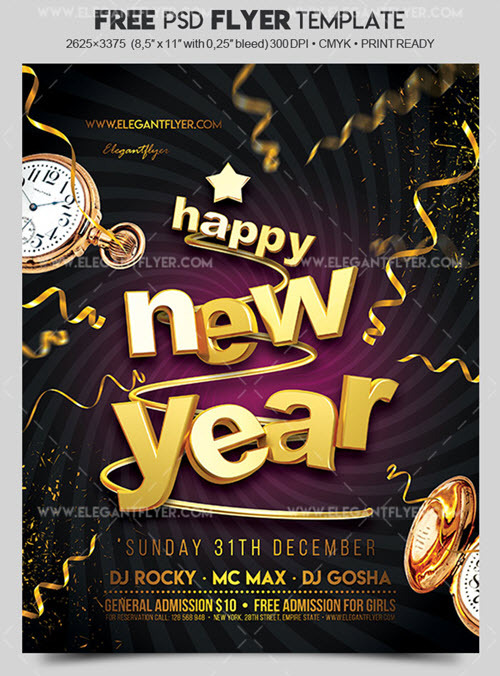 Stay with us and enjoy all of our free design resources which are added on a daily basis.